The first yoga retreat group post Yoga Ambassador’s Tour 2018 arrives in Kochi. Around 18 yoga enthusiasts from Czech Republic will spend 10 days in Kerala under the leadership of Hana Fialova. 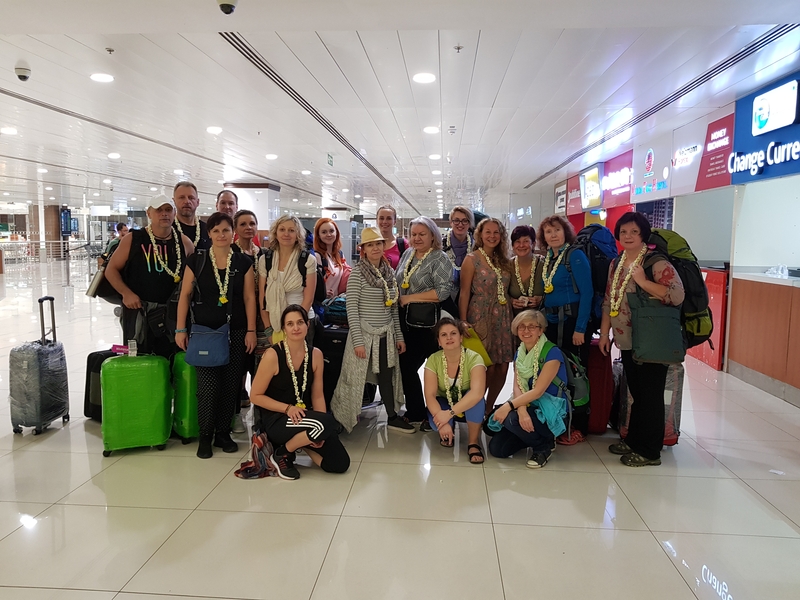 Hana Fialova was one among the 52 delegates who participated in the Yoga Ambassador’s Tour 2018, conducted by Association of Tourism Trade Organisations India (ATTOI), in association with Ministry of AYUSH and Kerala Tourism in June 2018. The Yoga Retreat tour, operated by Chalukya Grace Tours, will explore the destinations like Marari, Alappuzha and Cherthala. The group will spend five days in Marari, 2 in Alappuzha and three in Cherthala. The Czech yoga practitioners have arrived in Kochi today morning and have moved to La Plage Marari.